Phoenix Exteriors specialize in water repellent exterior wall coatings. These wonderful modern treatments protect your outside walls from brick and stone erosion, eliminate efflorescence and minimizing masonry frost damage. Our team of BAA certified Andura trained technicians will treat your property with clear or coloured coatings which actually penetrate into the building surface to produce a water repellent lining. 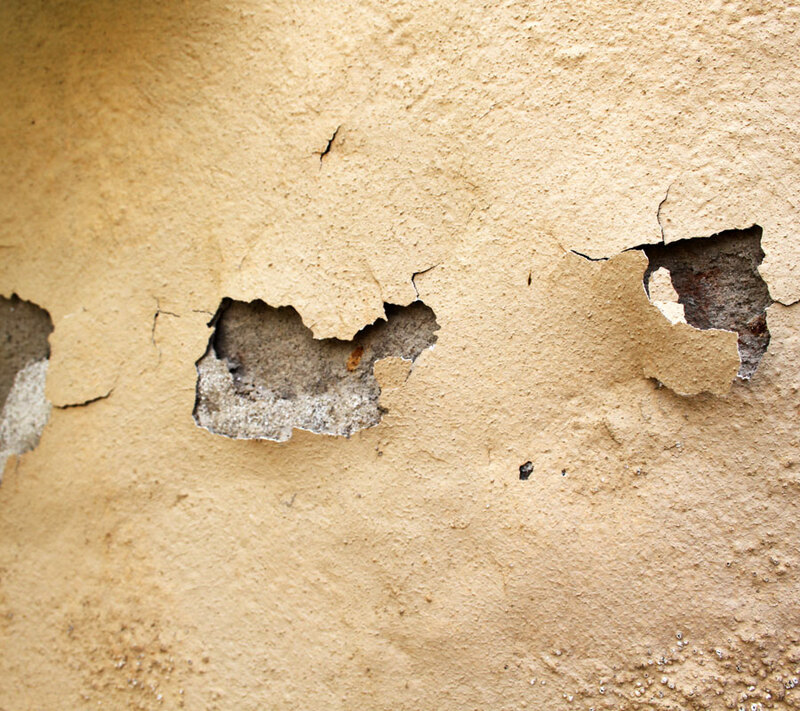 If you’re lucky enough to own one of the beautiful old stone houses with which Yorkshire abounds, you’ll know that penetrating damp can lead to all sorts of problems. The pointing can rot, and moisture from the atmosphere can seep through to the interior, damaging plasterwork and causing efflorescence to appear. In the wintertime, retained moisture can freeze, which leads to masonry frost damage which in turn causes brick and stone erosion. Our clear shield outside wall treatments, available in Hull, Lincoln and throughout the North East, can help prevent all of these difficulties and give your home or business premises a clean new look. Our skilled operatives will prepare your walls thoroughly, then apply the coloured or clear treatment of your choice. The finished process lasts for up to 20 years, so your property remains protected for a long time. If your brickwork or masonry has already suffered damage from erosion, or your pointing is crumbling, don’t worry, we have a team experienced builders and renderers who can carry out external property renovation and repairs to a very high standard. Once your walls are in good condition, we’ll help to keep them that way with our specialist water repellent exterior wall coatings, which have been proven to prevent penetrating damp and its associated problems for decades to come. We are a friendly and professional team offing an excellent service. For any of our promotional offers please ask when you call and we will let you know what is on offer at the time.